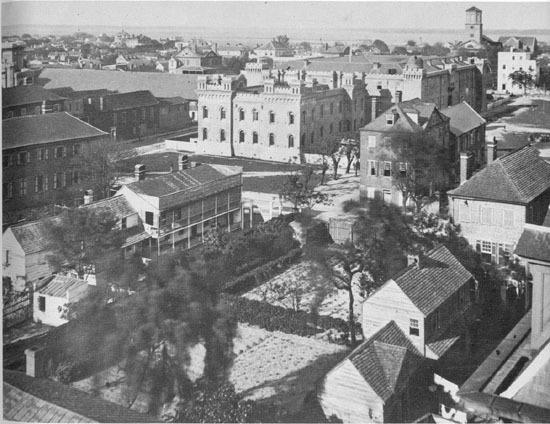 This is a photograph of Charleston, South Carolina in 1865, looking toward the harbor and Fort Sumter. Source: Donald, David (General Editor). Divided We Fought, A Pictorial History of the War 1861-1865 . New York, NY: The Macmillan Company, 1952, page 3. Earlier from the Library of Congress.